America is experiencing a health-food revolution. Gone are the days when fat and greasy made the cut for a quick lunch. Instead, Americans in general and Virginians in particular are choosing flavorful yet healthier options. Enter, smoothies. Whether you’re in the mood for a protein-packed exercise supplement or a fruity burst of flavor, you’re going to want to come back again and again to the following 10 best smoothie spots in Virginia. Ginger Juice has two Richmond-area locations: one in Richmond proper, and another in nearby Henrico. The mission of Ginger Juice is “to nourish the souls of our consumers with all-natural juice for adults and children!” Besides juice, their smoothies are also delectable. Go for the Pitaya Power smoothie if you’re not sure which one to get. Fruitive styles itself as a “plant-based organic restaurant” with locations in Virginia Beach and Norfolk, Virginia. Smoothie lovers should look for their “liquid meals.” But if you happen to be with a non-smoothie person, their superberry bowls, sandwiches, toasts, and much more. The Juice Place is one of the most beloved downtown spots in Charlottesville, Virginia. They specialize in dishes made with real fruits and veggies including rice bowls, salads, paninis, custom juices, and, of course, smoothies. The Pink & Easy smoothie, made with banana, strawberry, raspberry, almond milk, and hemp hearts, is simply fantastic. 4. Juice Press, Washington, D.C. While not technically part of Virginia, we Virginians typically think of D.C. as an extension of our great Commonwealth and therefore we are laying claim to this Union Station outpost of the Juice Press. The menu is large and varied but the smoothie options really brings the goods. The colors are potent and the flavors are delicious. Green Parrot Smoothies brings big, bold smoothie flavor to Chantilly, Virginia. They pay special attention to the taste quality, healthiness, and making sure their customers have great experiences. Consider them for your next catered event as well as a daily pick-me-up. Millie’s Living Café operates with one simple motive in mind: in the words of owner Millie Thomas, “Get you something good to eat.” The menu includes fresh juices, salads and wraps, bowls and smoothies. Our favorite? Dave’s Great Blue’dini, made with blueberry, banana nut mylk, sunflower butter, and granola. Puree Artisan Juice Bar has three locations in the Virginia, Maryland, Washington D.C. area, including their wonderful Fairfax, Virginia, location. According to their website, they are “the only all organic, non-pasteurized, cold-pressed juice in glass bottles in the D.C. area.” They technically call their smoothies “shakes,” but the concept is the same and the taste will make you forget all about the semantics. The Alkalicious cold Pressed Juice Bar brings delicious, healthy, and clean cleansing options to Chesapeake, Virginia. 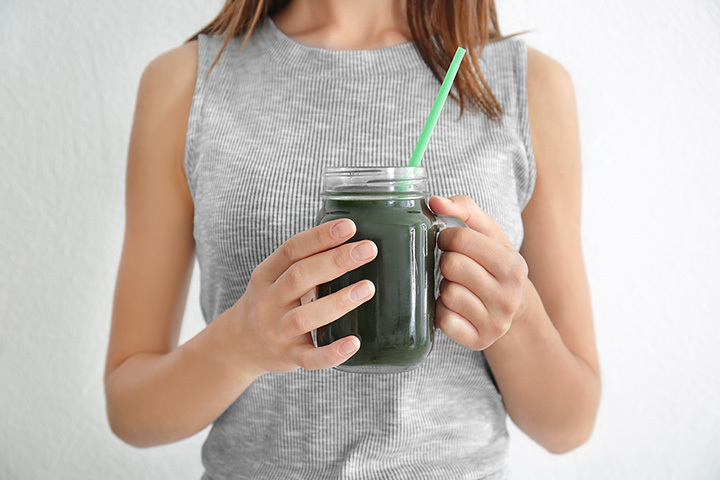 According to their website, they offer “a selection of healthy beverages in the form of organic cold pressed juices, smoothies, refreshing alkaline water, workout shakes, smoothie bowls, wellness shots such as wheat grass, and light organic snacks.” That’s a long-way around the bottom line: Want a tasty smoothie? Come on down to Alkalicious. Surf City Squeeze has multiple Virginia locations, including one in Richmond and another in Fredericksburg. Originally created in 1981 in Phoenix, Arizona, they’ve taken the east coast by storm. Their “proprietary smoothie mix is what makes our delicious smoothies special enough to make up 90%” of their menu. Sugar lovers will die for the chocolate covered strawberry.